A hybrid merino wool baselayer that manages moisture and keeps your dry on any high-output, cold-weather pursuit, the Basis Power Wool™ Zip Neck provides breathable, next-to-skin comfort, quick-drying, odor-resistant performance, and a sleek feminine fit. 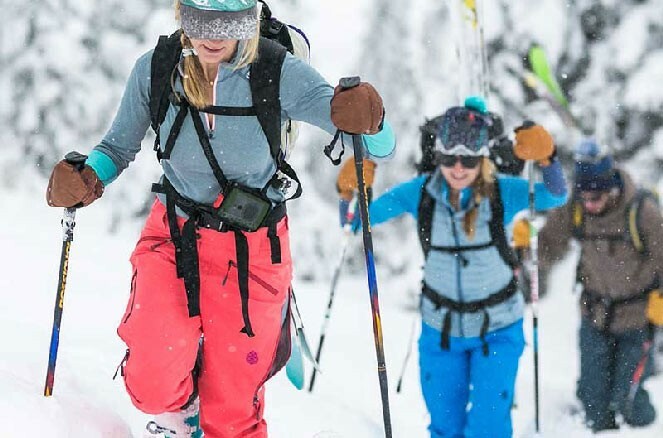 A year-round, cold-conditions baselayer that manages moisture during high-output pursuits on foot, skis or two wheels, the Women's Basis Power Wool™ Zip Neck features a highly breathable, layered construction that offers the benefits of both natural and synthetic fibers. Made in the US with Polartec® Power Wool™ fabric, the Basis features soft, ultra-fine merino wool next to skin to wick moisture, and a quick-drying polyester outer that adds strength and durability. The fabric also features a high-efficiency grid backer, which traps warm air, as well as aids in moisture transfer and makes for faster drying.The classic zip-neck design provides added coverage and quick ventilation, while flatlock seams make for chafe-free comfort when you’re on the move. Polartec® Power Wool™ fabric keeps you warm and dry during year round aerobic activities with an innovative bi-component knit that combines the distinct advantages of natural and synthetic fibers. 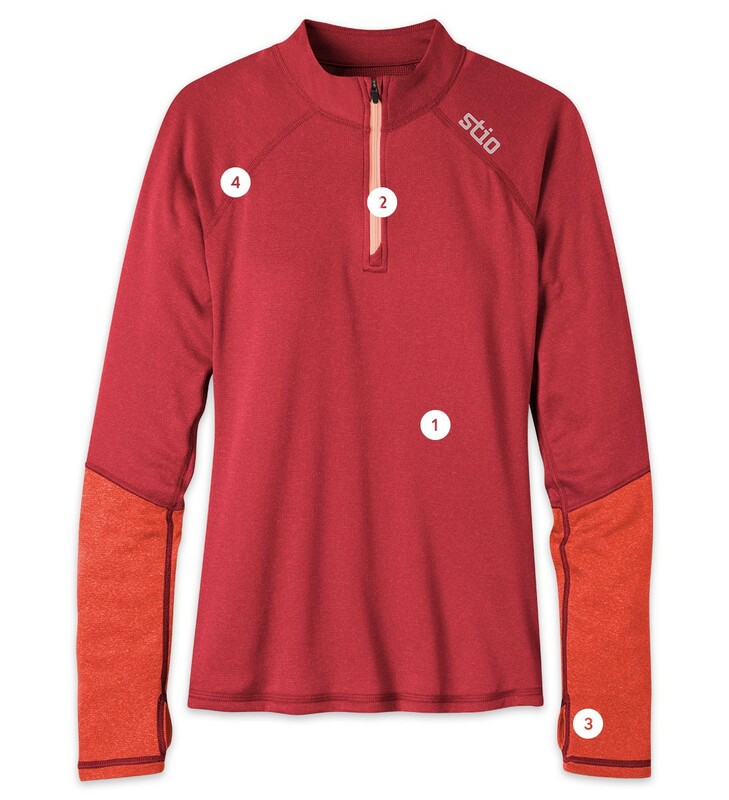 An isolated merino wool interior and a synthetic fiber exterior create a hybrid construction that optimizes wicking, breathability, dry times, odor resistance and durability. The comfy wool interior provides warmth even when wet and is highly breathable, while hydrophobic polyester reduces dry times and offers durability, resulting in a textile that performs under any conditions, all year long. Our closest cut for a contemporary, more fashionable look. Center back length 25 5/8"
A high-performance top for high-output days. "After two days of high-intensity nordic skiing in Canmore, Alberta, this merino-polyester zip-neck base layer looked and smelled fresh. The finely woven wool interior remained soft and plush next to skin and allowed it to breathe." We vetted world class fabrics, testing fit and performance, and are proud to present a patented hybrid construction that’s made right here in the USA. Get a closer look at the advanced technology behind this innovative fabric performance as we visit the fabric mill in Tennessee and the factory in Pennsylvania to see how the goods come together.